Findings released on Wednesday by the Milken Institute corroborate a view many in higher education have found themselves defending in recent years: A college education pays. TRENTON — Inside the nearly $9 billion that Gov. Chris Christie’s budget allocates for schools is funding to revive a controversial pilot program that would, for the first time, offer scholarships for students to attend private and parochial schools with public money. Sign up here to attend conference. 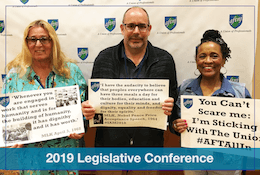 Join your AFTNJ colleagues for a full agenda of workshops designed to build professional voice in the legislative arena. 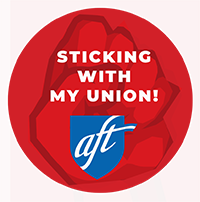 On Friday, join Gubernatorial candidate Barbara Buono and other key leaders standing up for education and labor. Although some board members were surprised to see the suspension issue rescinded, Donna Chiera, president of Perth Amboy Federation/American Federation of Teachers, was not.